Plant names are for our use only. The reason for any changes are that botanists sometimes get ahead of themselves, give a plant a name, then find that someone else should have first dibs. 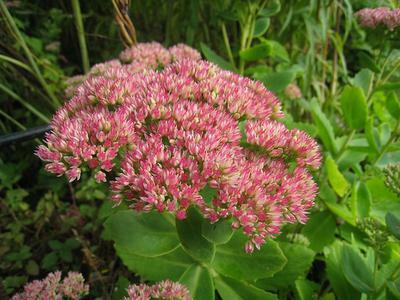 One common plant that has had a name change fairly recently is Sedum, which now is called Hylotephium. Hylotelephium is a genus of flowering plants in the stonecrop family Crassulaceae. It includes about 33 species distributed in Asia, Europe, and North America. Species in the genus, formerly included in Sedum, are popular garden plants, known as "sedum", "stonecrop", "live-for-ever" or "orpine". That's a quote from Wikipedia. The ones that have changed are only the ones I call Sedum for borders. These are taller and a lot more robust than the smaller ground covering species.